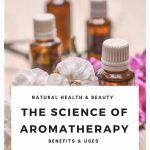 Aromatherapy – the use of fragrance and oils to achieve health and wellbeing – has been used in various ways, and for various purposes, for hundreds of years. But the science of how aromatherapy works has been a bit of a mystery. 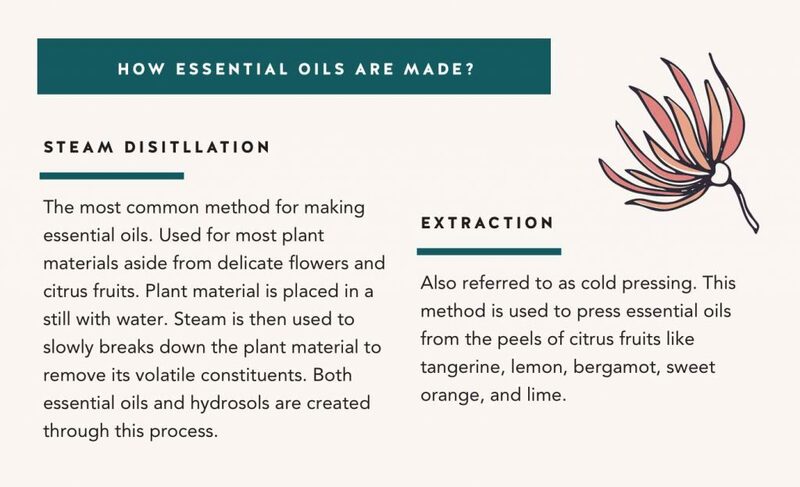 The term “aromatherapy” was first used in France in the 19th century by René-Maurice Gattefossé, a perfumer and biochemist who wrote on how to use essential oils to treat disease. 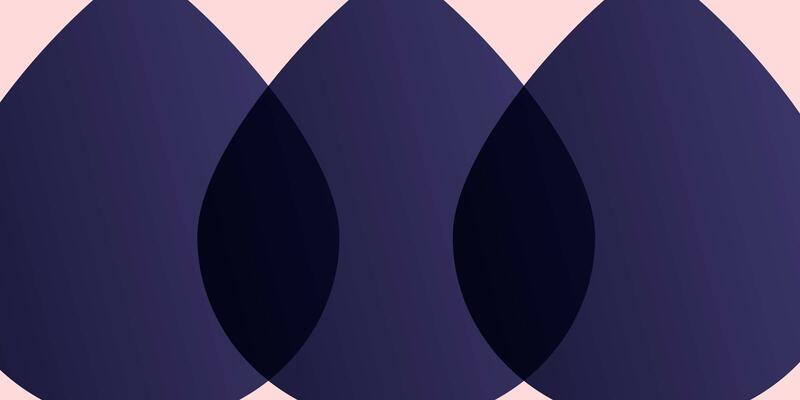 Today, aromatherapy is used widely – in a spa, yoga, or wellness context, but also in the soap you use in the restroom and the scents you experience in a department store. So why is it so prevalent in our everyday lives? What is the science behind the effects that it has on the body, mind, and skin? Aromatherapy works this way by stimulating olfactory receptors in the nose, which send powerful messages through the nervous system and to the limbic system, where emotions are processed. 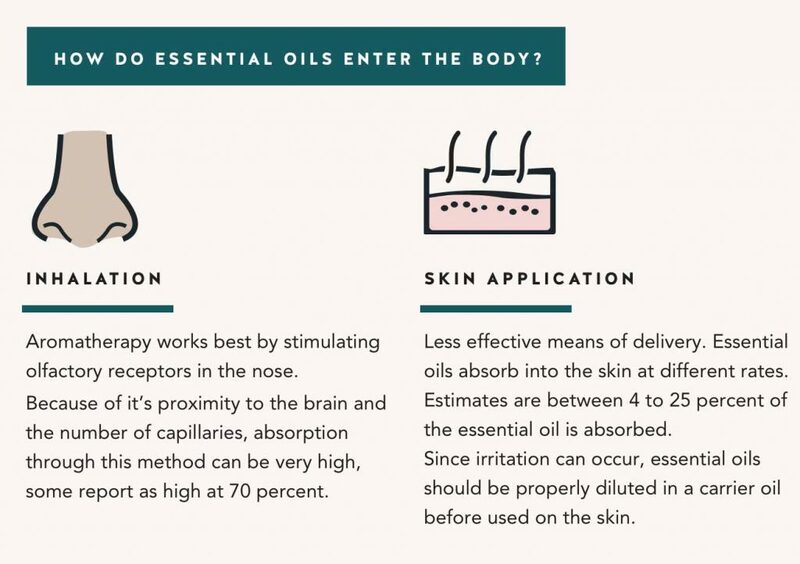 The limbic system also helps control and monitor heart rate, blood pressure, breathing, memory, stress, and hormonal balance, which explains why essential oils and fragrances can have such a holistic effect on many parts of our bodies and minds. These olfactory messages are also carried to the amygdala, the brain structure involved in memory and emotional learning. This is why smells are often linked to specific memories. For example, you may smell thyme and be transported to cooking with your grandmother, or smell lemon and think of a special picnic as a child. These associations can be powerful for boosting mood and harnessing the healing properties of fragrance. It’s important to note that while some studies have proven positive benefits from essential oils, many remain inconclusive and suggest that the placebo effect – people expecting to achieve positive results from aromatherapy, and therefore achieving said results – could be at work. However, there are limited negative side effects from aromatherapy, so try it out to take advantage of the many positive benefits others have experienced. See below for a few examples. Robert Tisserand is often credited with the observation that the power of aromatherapy can be heightened and complemented through the use of massage. Together, they reduce stress, pain and tension, enhance the immune system, and lower blood pressure. When using aromatherapy for stress relief, it’s important to select the right types of oils based on the physical manifestations of stress (neck and shoulders, tension headaches, etc.) as well as emotional manifestations (anxiety, depression.) For example, cedarwood, eucalyptus, and lavender are said to help with lack of confidence and insecurity; patchouli and tangerine can help with healing and loss. The NY Institute of Aromatic Studies is a great resource for those interested in delving further into the ways aromatherapy and massage can work together. If you suffer from anxiety, essential oils may be able to help calm your mind and nervous system. Read more about the Top 10 Essential Oils for Anxiety. Aromatherapy has also been shown to have powerful effects on common skin conditions, like acne. Acne is caused by overactive sebaceous glands that become clogged, and can be accompanied by inflammation and bacterial infections. Because of this, antibacterial and anti-inflammatory oils and aromas can help limit buildup and acne caused by excess oil. Facial compresses, masks, and cleansers made with oils like chamomile, cypress, and patchouli may help keep symptoms at bay. Psoriasis, while a chronic condition that can be difficult to treat, can also be helped through the practice of aromatherapy. People with psoriasis often have raised, red, thick patches of skin that may appear dry and scaly. This is caused by rapid cell division brought on by a variety of causes (environmental, genetic, etc. ), and can occur anywhere on the body. Aromatherapy can play a supportive role to other types of therapy, like naturopathy or homeopathy, by helping ease symptoms like itching and redness. Therapies for people with psoriasis typically include a moisturizing base, like shea butter or calendula, mixed with calming oils like frankincense and vetiver. 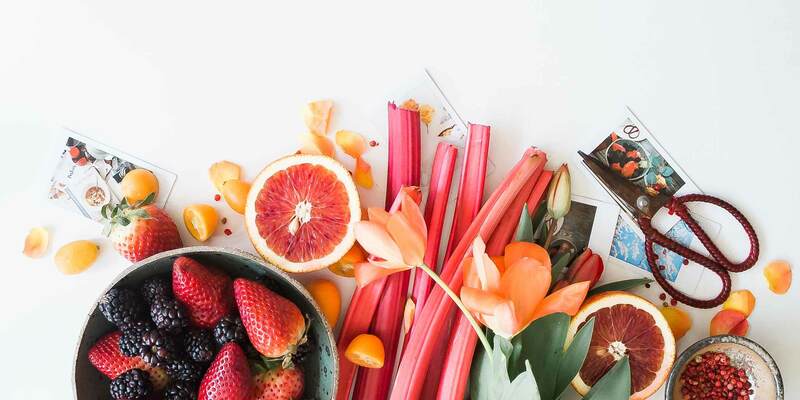 For more ways to help your skin with botanicals: The Best Botanicals for your Skin Type and The Top 10 Essential Oils for Gorgeous, Healthy Skin. Sleep is pretty wonderful. Not only does it feel great to get a good night’s sleep, but quality slumber is absolutely crucial for healthy bodies, minds, and skin. Dr. Michael J. Breus, PhD, cites several studies that show the positive impact aromatherapy can have on our sleep, including a 2017 study comparing the effects of aromatherapy and acupressure massage on sleep quality and overall quality of life in women. Researchers found that a blend of sleep-promoting essential oils worked more effectively to improve both sleep quality and quality of life than acupressure. The blended oil was also more effective at improving sleep than a single essential oil, lavender. That being said – lavender is one of the most popular and well-studied essential oils for sleep. Research continues to prove the anxiety- and depression-reducing properties of lavender, and correlates its use with improved sleep quality and amounts. 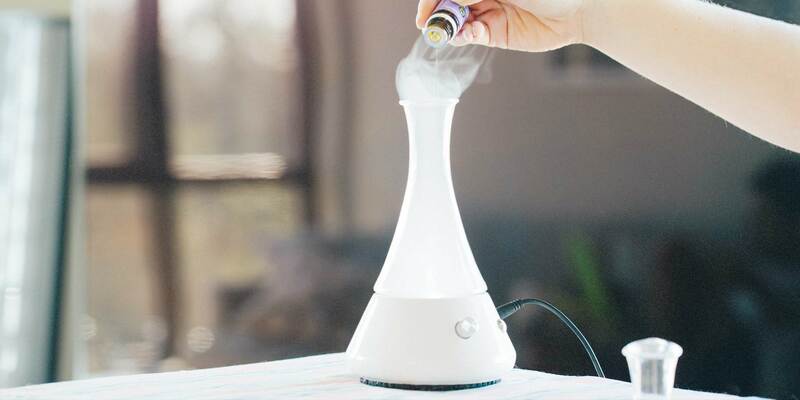 Aromatherapy for sleep can be applied in a variety of ways – through an oil diffuser, into a bath, as a mist to spray on your sheets and pillows, or applied topically to the skin.